With so many amazing brands and categories, it’s easy to start off looking for fashion buys and end up down interiors or food when you’re shopping Harvey Nichols online. Even when you’re laser-focused, it’s easy to flit between looking at accessories section for the likes of Valet Studio hair clips and Susan Caplan jewellery over to the bag section for the latest Cult Gaia It piece. And don’t get us started on the beauty buys that instantly create the urge to invest in a larger makeup bag. So with a constantly updated new-in section, how do you decide what you actually want (read: can still afford) ahead of payday? Our fashion and beauty squad have done the hard work for you. Today, they’re letting you delve into their virtual shopping baskets to see what they’ve actually been buying—for under £150. 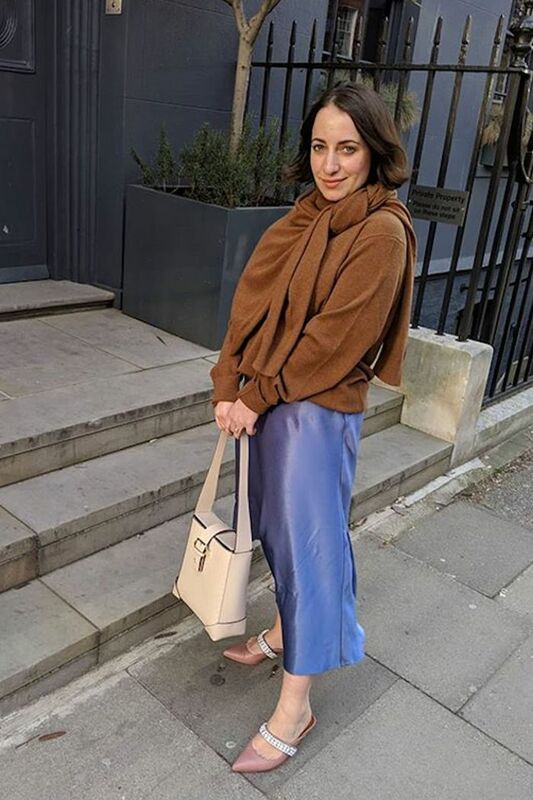 WWW UK Editor in Chief Hannah Almassi looks amazing in one of Harvey Nichols’s brands with a Samsøe & Samsøe slip skirt. You can also get it in burgundy (below). We advise you to get it now, as it’s already editor-approved. With many It bags under their belt, I predict this—like the brand’s tassel bag—will be Cult Gaia’s key style. I’ll be adding a printed scarf around the handle. Basically, if it’s a hair clip, I want it. This is how my brain is functioning for 2019. You can see why with this tortoiseshell beauty. I love these CDG bags and use them for everything. From chic in-purse organisers to on-the-go clutch bags to makeup bags, they just work. Speaking of makeup, I’ll also grab a new tube of my all-time favourite mascara. Next up, here’s what else our editors are wanting to buy this month—from dresses to interiors.